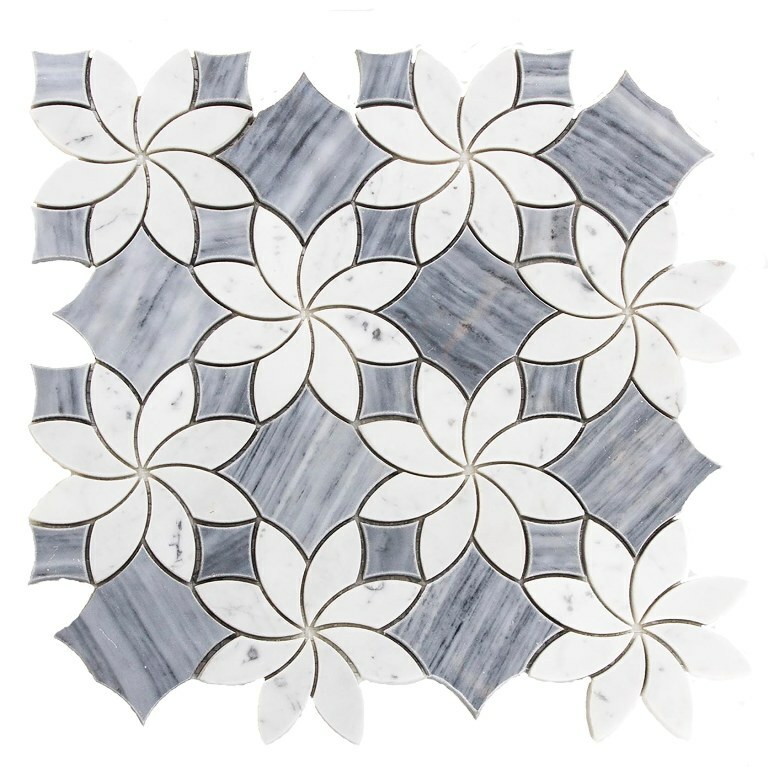 Carrara White Mutisia Blossom Waterjet Mosaic is blended with Vizag Gray Marble to get this gorgeous and an eye pleasing flower buttons. This creates the next luxurious entry in our Waterjet collection. Each product is 11.5 in x 11.5 in x 0.38 in.